If you plan to charter catamarans or purchase your own boat the Live Aboard Cruising Course (OSS 103/104/114) or Catamaran Bareboat Charter Certification Course (OSS 103/104/114) on catamarans are the most popular choices. If you don’t have good small boat sailing skills, our Fast Track to Cruising Course (OSS 101, OSS 103/104/114) is your ticket to sailing catamarans. You learn on cruising catamarans with three or four private cabins, large open salon, galley with 360 degree views, a big trampoline forward for sunning, and spacious seating in the cockpit area. 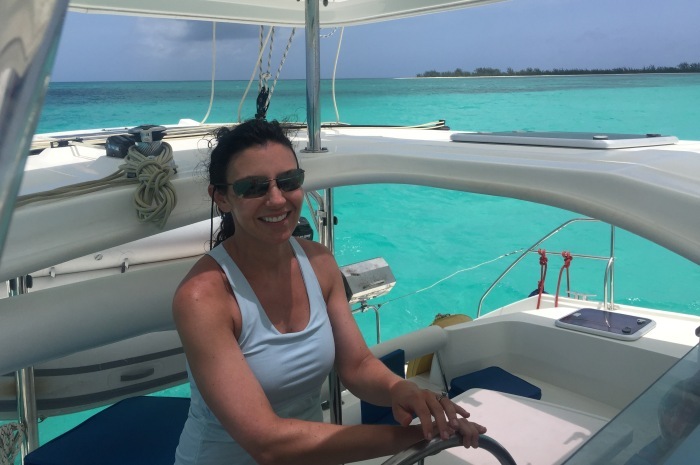 Catamaran Sailing Courses are available in Florida and the British Virgin Islands, with a minimum of two participants required to start catamaran sailing courses (maximum four unless purchasing a Private Family Catamaran Course option). Sailing School cruising instructors who cover what you need to know to make your catamaran sailing adventures more fun and relaxing. Since these boats tend to have more windage than cruising monohulls specific docking maneuvers are taught to make your landing easy. 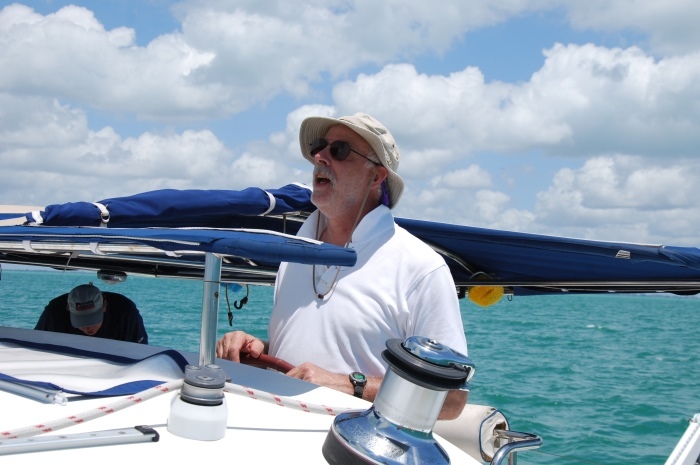 Tacking angles vary from single-hulled (monohull) sailboats. During our catamaran sailing courses, you learn about shortening sail in heavy weather and crew overboard recovery techniques which can be distinctive to catamaran sailing. 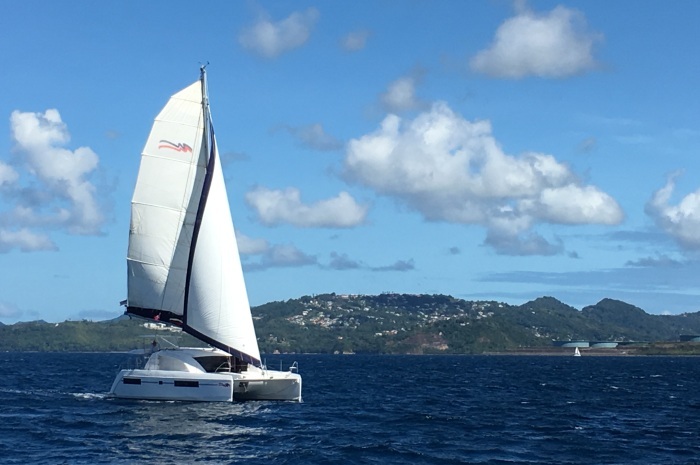 Catamarans provide the ideal on-water classroom setting while enjoying a catamaran sailing vacation as you navigate from port to port. The huge airy salons on our catamarans, with 360o visibility and lots of natural light, are a boon for pre-sail classroom sessions and after-sail relaxation. Each day you sail and navigate through the islands and along coastlines, putting to use all that you have learned. Preparation of meals is also an important part of this course. There is no chef aboard and instructors are there to guide you, but not cook meals for you. All students share in learning how to prepare meals in a galley aboard. Most charter agencies do not allow night sailing and require that you are anchored, docked or on a mooring before sunset. Night sailing is not covered in this course, but is covered in Passage Making courses, the next step in your learning process. Take the first step and sign up for our learn to sail catamaran vacations below.